New York, April 16 (IANS) The release of the report of the investigation into allegations that Russia colluded with President Donald Trump's campaign in the 2016 election that is scheduled for Thursday with some redactions will only amp the volume of debate, rather than set the controversy at rest. Acceding partially to demands by Democrats, who control the House of Representatives, Attorney-General William Barr will submit the report prepared by Special Counsel Robert Mueller after cuts to it, the Justice Department announced on Monday. Democrats have questioned the authenticity of the summary of the report issued by Barr last month and have said that they will not be convinced by the redacted version. Barr wrote that Mueller had cleared Trump of the allegations of Russian collusion. Democratic Senator Patrick Leahy said that the redactions will "only fuel suspicions" about the matter. Trump, who was convinced that the report gave him "total exoneration", has said that he had no objection to the report's release. He prepared for the release of the report with his own offensive on Monday. He tweeted: "The Mueller Report, which was written by 18 Angry Democrats who also happen to be Trump Haters (and Clinton Supporters), should have focused on the people who spied on my 2016 Campaign, and others who fabricated the whole Russia hoax." The report's release is timed for the middle of the Congressional recess this week and next and comes out on the eve of Good Friday and the Jewish observance of Passover, when legislators will be away from Washington. It will also delay any Congressional action or concerted reaction. Legislators, politicians and the media will go through the version of the report with a fine-tooth comb on Thursday looking for anything that will show wrong-doing by Trump: If not collaboration with Moscow, the obstruction of justice allegations that the report left with no conclusive evidence. Barr has said that he will be redacting parts of the 400-page report dealing with intelligence matters, testimonies covered by secrecy laws, ongoing investigations and third parties not directly involved. Republicans have joined Democrats in demanding the a fuller version of the report. The House of Representatives' Judiciary Committee last week authorised its chairman Jerry Nadler to issue Barr a subpoena to handover the entire report. The House Intelligence Committee chair Adam Schiff demanded on Monday that Barr share with the panel the counterintelligence matters in the report and testify before it. The top Republican on the panel, Devin Nunes, also joined him in making the request. After feeling convinced that Trump's 2016 victory was due to his collaboration with Russia, the report summary provided by Barr in his letter to Congressional leaders was a let-down for the Democrats, dashing their hopes of using it to oust the President from office. Mueller said that he could not conclusively determine if Trump had obstructed justice or not and left it to Barr to decide on prosecution. Barr said that he did not think there was adequate evidence to act against Trump. Democrats will now look for any evidence of it in the report to take action on their own. 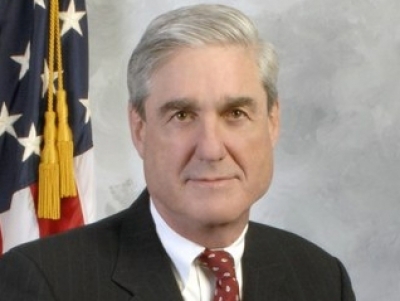 Mueller produced the report after a 22-month investigation during which his staff interviewed more than 500 witnesses and executed 500 search warrants. The inquiry led to charges being filed against 34 people and entities, some of them Russian for meddling in the election. It also took down some close associates of Trump like campaign chairman Paul Manafort, former personal lawyer Michael Cohen and former National Security Adviser Michael Flynn, all of whom admitted guilt on various charges in court. It also provided leads for federal prosecutors to launch investigations and prosecutions of their own -- which Democrats hope to replicate from the House.